Its decision to slash 25 basis points is aimed at priming those areas struggling as the economy transforms away from mining, in a effort to boost economic growth in Australia, which is still below trend. “With the peak in the level of resources sector investment likely to occur this year, there is scope for other areas of demand to grow more strongly over the next couple of years,” said RBA governor Glenn Stevens. Analysts said the Australian economy needed stimulus as mining exports to Asia, which helped it dodge recession during the global downturn, recede. NAB was the first of the big four banks to lower its standard variable home loans. It cut the rate by 25 basis points to 6.13 per cent per annum. After NAB’s move to pass on the 0.25 basis point cut in full, the Commonwealth Bank and Westpac have put their interest rates under review, bank spokespeople said. ANZ Bank will make a decision on interest rates on Friday as part of its regular review. 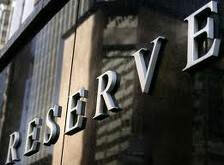 Rates have not been this low since the establishment of the reserve bank in 1959. If today’s interest cut is passed on in full then the repayments on a $300,000 mortgage would drop by about $46 a month on average.